Taking financial risks is an essential part of what banks do, but there’s no clear sense of what constitutes responsible risk. Taking legal risks seems to have become part of what banks do as well. Since the financial crisis, Congress has passed copious amounts of legislation aimed at curbing banks’ risky behavior. Lawsuits against large banks have cost them billions. Yet bad behavior continues to plague the industry. Why isn’t there more change? In Better Bankers, Better Banks, Claire A. Hill and Richard W. Painter look back at the history of banking and show how the current culture of bad behavior—dramatized by the corrupt, cocaine-snorting bankers of The Wolf of Wall Street—came to be. In the early 1980s, banks went from partnerships whose partners had personal liability to corporations whose managers had no such liability and could take risks with other people’s money. A major reason bankers remain resistant to change, Hill and Painter argue, is that while banks have been faced with large fines, penalties, and legal fees—which have exceeded one hundred billion dollars since the onset of the crisis—the banks (which really means the banks’shareholders) have paid them, not the bankers themselves. The problem also extends well beyond the pursuit of profit to the issue of how success is defined within the banking industry, where highly paid bankers clamor for status and clients may regard as inevitable bankers who prioritize their own self-interest. While many solutions have been proposed, Hill and Painter show that a successful transformation of banker behavior must begin with the bankers themselves. Bankers must be personally liable from their own assets for some portion of the bank’s losses from excessive risk-taking and illegal behavior. This would instill a culture that discourages such behavior and in turn influence the sorts of behavior society celebrates or condemns. Despite many sensible proposals seeking to reign in excessive risk-taking, the continuing trajectory of scandals suggests that we’re far from ready to avert the next crisis. 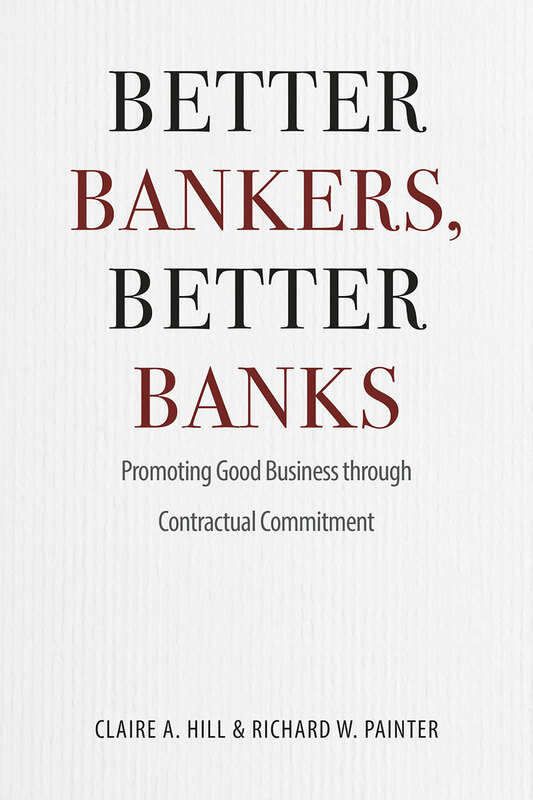 Better Bankers, Better Banks is a refreshing call for bankers to return to the idea that theirs is a noble profession.